← US Envoy: Russia Should Allow Israel To Attack Iranians In Syria! “If the trigger of war in the Middle East is pulled by you using your surrogates at the insistence of Israel, then the war will trigger another kind of war, which will bring China, Russia, all of the nations into a war,” Farrakhan said, addressing Trump. 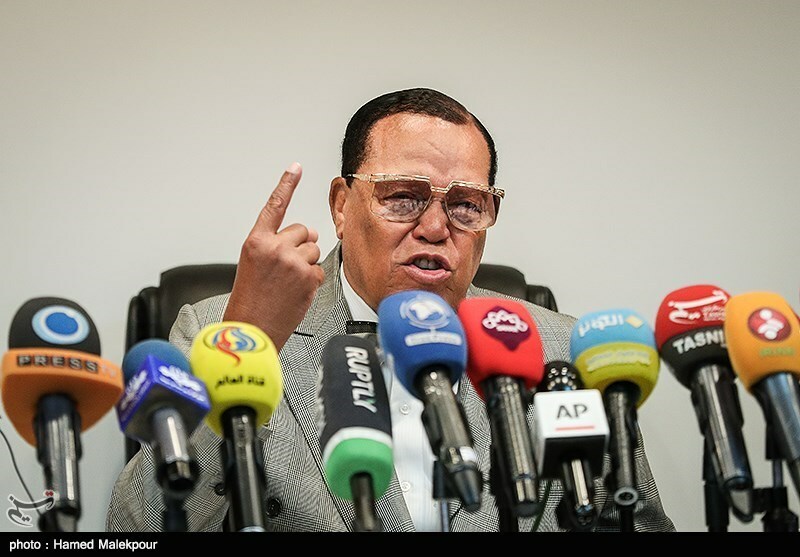 Farrakhan lashed out at the Trump administration for re-imposing sanctions on Iran, saying the bans are “hurting the people of Iran,” not the Iranian government, as claimed by American officials. He said Iran fulfilled what it had signed to do on the Joint Comprehensive Plan of Action (JCPOA), but America did not. Farrakhan also called on the international community to rise up against the persecution of Muslim people whether in Yemen or in Myanmar against Rohingya. This entry was posted in News and politics and tagged Farrakhan warns Trump, Slaughter of Yemenis people, Spark USA's Death, Trigger Armageddon. Bookmark the permalink.